LOUDON, N.H. – Just after 8 a.m. on Saturday morning, Jeff Rocco of Wallingford turned his first lap ever in a racecar around the 1.058-mile New Hampshire Motor Speedway oval. At about 5 p.m. he will be on the front row leading a field of 43 cars to the green flag for the Bond ACT Invitational at the track. 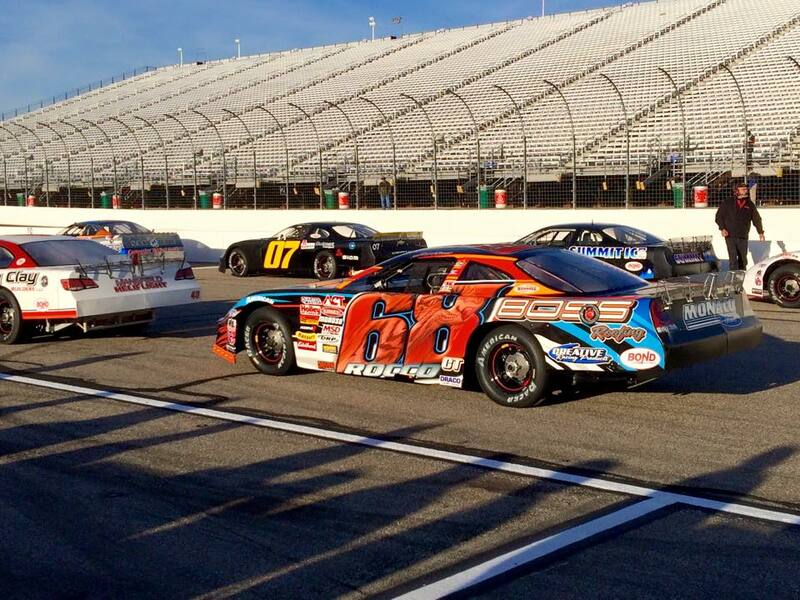 Rocco, of Wallingford, will start second in the his first career event at New Hampshire Motor Speedway this evening. The field was set by a blind draw. Woody Pitkat of Stafford will start 15th. Dillon Moltz of Waterford starts 27th and Paul Charette of Woodstock starts 43rd. Todd Davis of Claremont, N.H. starts on the pole beside Rocco. Rocco, who competes regularly in a Late Model at Thompson Speedway, did not participate in the American Canadian Tour test session earlier this year in preparation for today’s event, but he adapted quickly to the track during Saturday morning’s 50-minute practice session for the event. The practice was the only on-track time this weekend for teams in the event. Rocco was 10th fastest during the practice time. Rocco was hardly in awe of hitting the track at speed. “I got 20 laps around Loudon,” Rocco said. “It’s like any other racetrack. There’s two straightaways and four corners. Rocco isn’t worried about getting on track with a field of drivers, most of which he has never competed against. Pitkat will be doing double duty. He starts third in the NASCAR Whelen Modified Tour F.W. Webb 100 at NHMS. 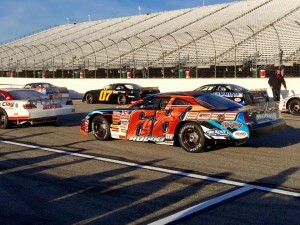 He sits second in the Whelen Modified Tour standings, one point behind Ryan Preece. He said he wasn’t worried about being 24th fastest in practice. “It wasn’t too bad,” Pitkat said. “We were just kind of shaking it down and scuffing tires. We didn’t go really crazy. People were doing their own things, drafting and stuff. Like Rocco, Pitkat isn’t worried much about running side-by-side with a host of drivers he has never raced against. Dillon Moltz was seventh fastest during practice.